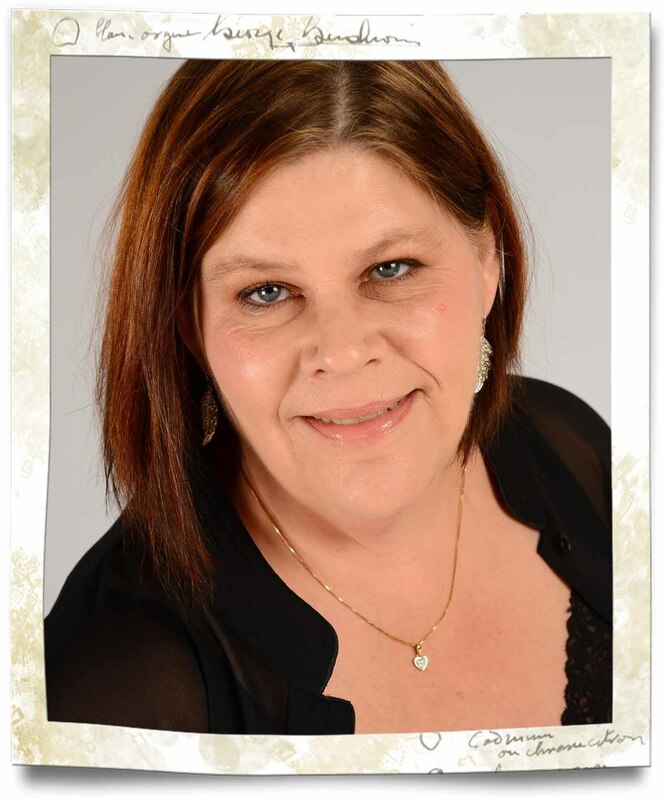 I am delighted to announce our guest designer for the month of April, Marina Prinsessan Holmen. 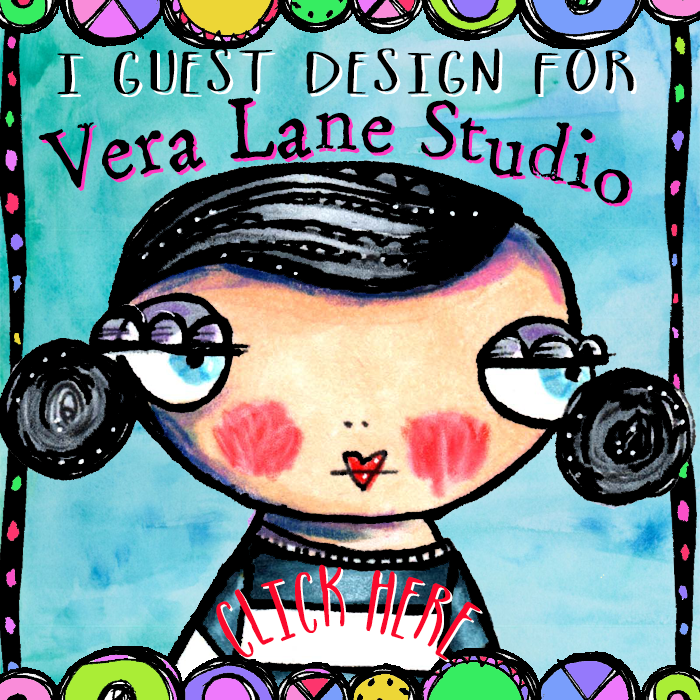 Marina has been a fan of Vera Lane Studio digi stamps having submitted outstanding samples to share with our members, I know the works she will be posting this month will be a treat! 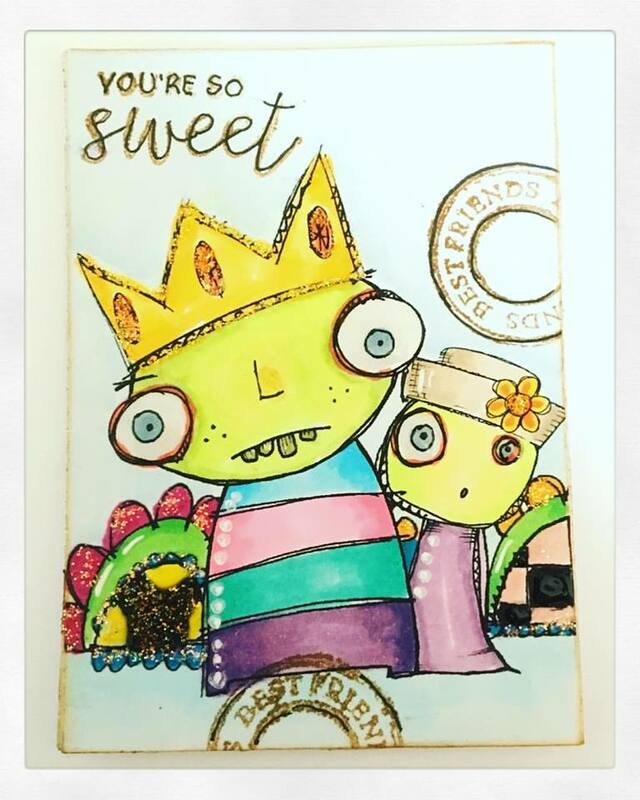 Marina Prinsessan Holmen is 57 years young and loves to create cards. Marina is married to a officer in military with 3 children ranging in ages 36, 21 and 19 and a dog. Professionally Marina works children with special needs and has done so since 2003. Inheriting her artistic vein from her mother and she from her mother , Marina loved to create art from an early age. 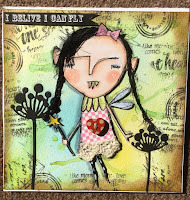 Her art philosophy is to find beauty in the ugly, albeit Marina's creates are those of beauty! 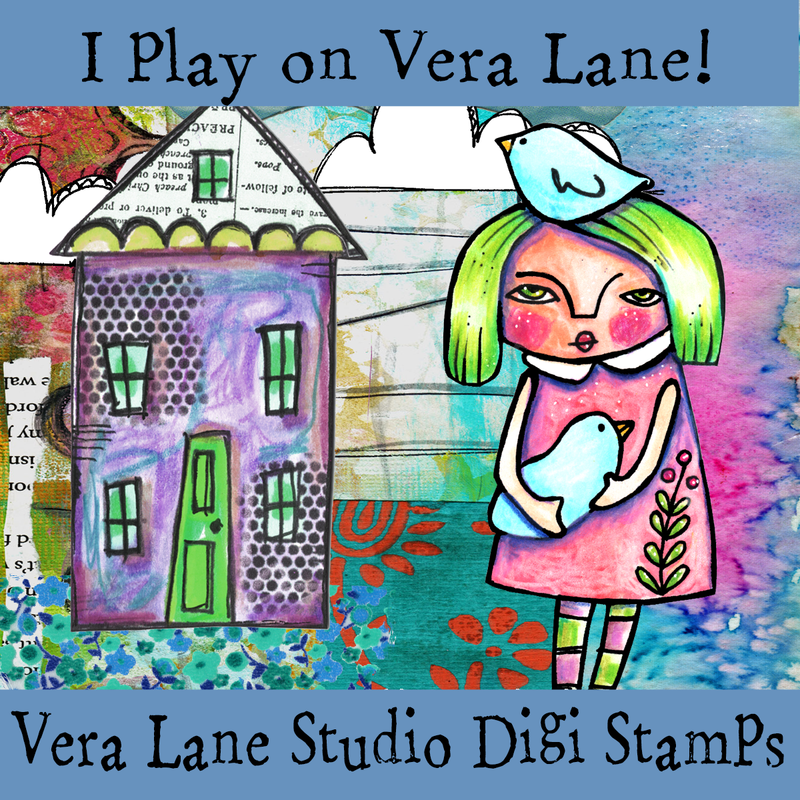 When Marina had no time for pottery she began her paper crafting with scrapbooking -- that let to creating cards. 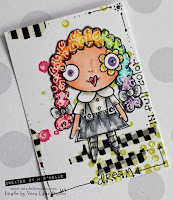 Marina has been creating wonderful paper crafts since 2002. 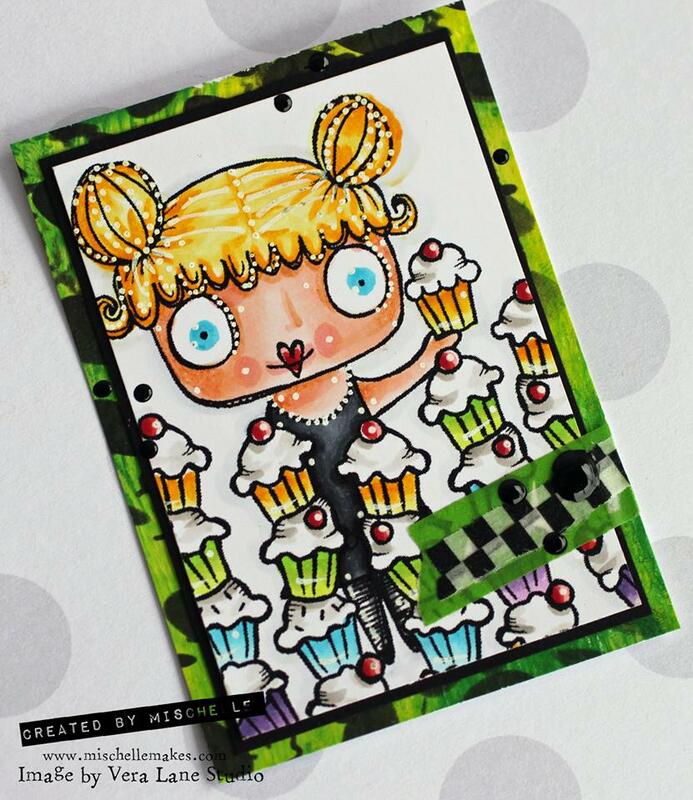 Our Design Team Member Mischelle Smith has opened a new ATC swap in our private FB group. 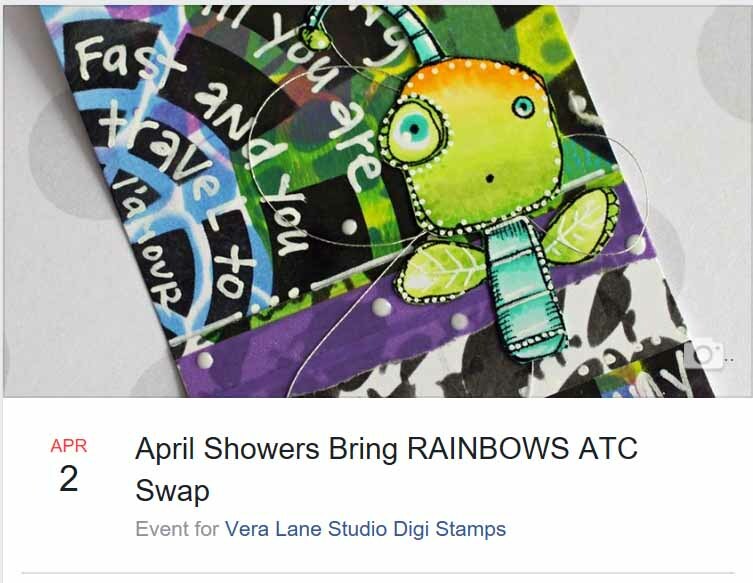 Mischelle is calling for Vera Lane Studio digi stamp images to be incorporated into a Rainbow themed ATC. The swap will be accepting submissions through April 30th. 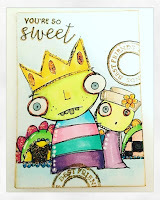 An upload of your card must be submitted in our designated album on or before April 30th to receive a swap partner's address. 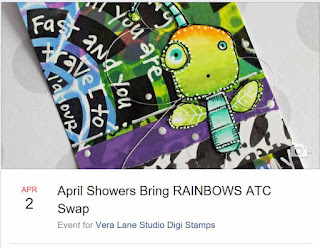 Mischelle and our design team memebers from Vera Lane bring the very best in ATC swaps to crafting. Their inspiration is tops! 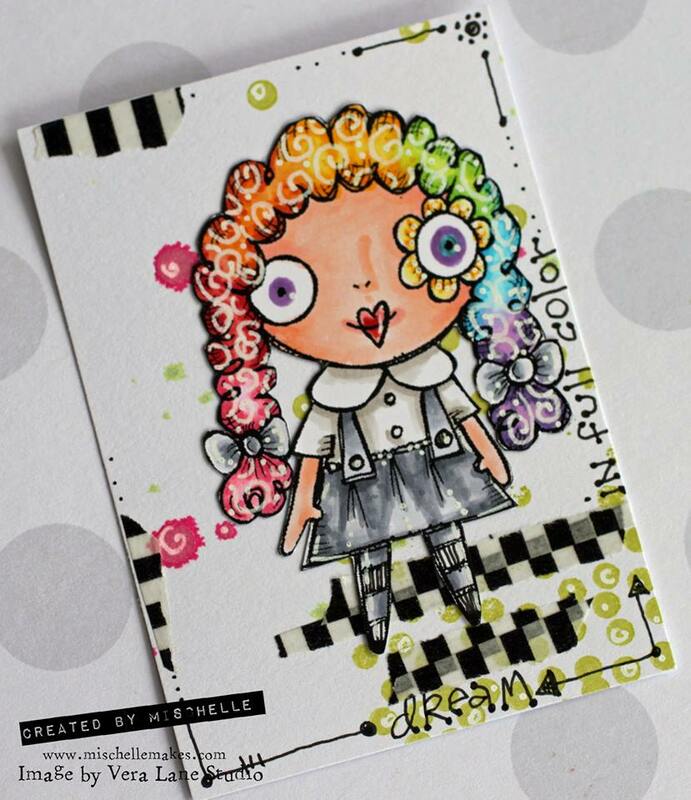 You can visit Mischelle's creations on her FB Look Book, on Instagram and her blog at www.mischellemakes.com . Please browse our Etsy shop! 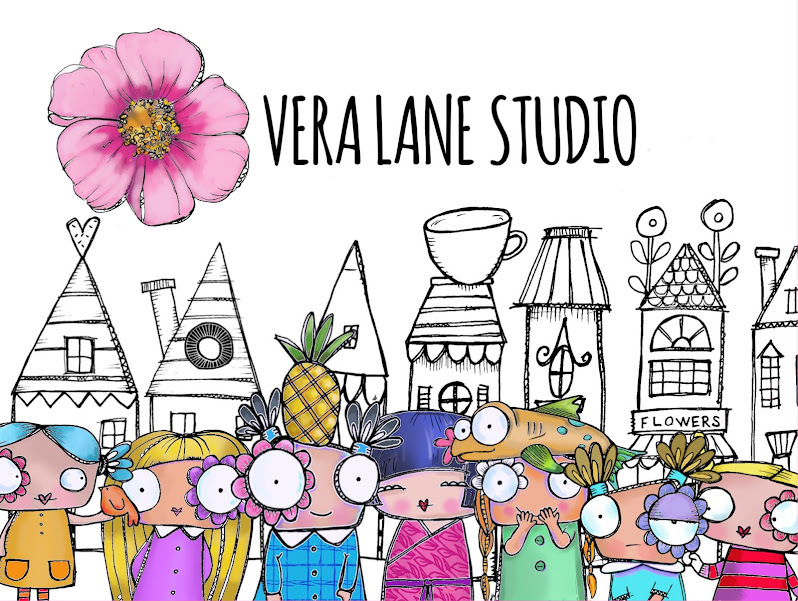 If you like what you see please "like" our business page on FB and join our private group for sharing, contests, swaps and more!